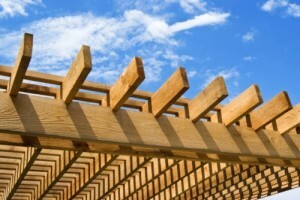 Does your arbour or your pergola need repainting? Do not postpone the task and get on with it as soon as possible. There is nothing like having a good quality garden construction on your property, which can survive winter as well as strong winds without problems. 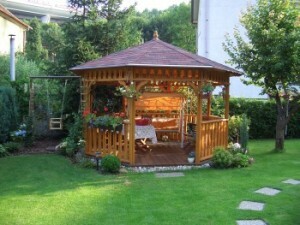 Additionally, these constructions protect materials, tools or garden chairs, which are waiting for warm days. Every garden construction deserves enough attention from its owner – the care is worth it in her long run. As with conventional buildings, a barn or a garden shed needs a good and high quality roof. In the moment you find out that rainwater is leaking inside, do not wait and check the roof as soon as possible. It is recommended to examine other places where water could be leaking into the construction, too. Even if the roof is ok, take care of painting it with good paint that will protect the roof against the weather. Like the roof, the structure of the building is important, too. The individual parts of the structure should be well conserved to withstand invasions of insects, rodents as well as weather changes. If you find out that one of the supporting beams is damaged, it is better to replace now than to see your shed collapsed and tools damaged in winter. The roof includes gutters and downspouts, as well. Each garden building should have the roof sloped to one side, where water should be drained to the ground. It is not good, if the building gets wet after each rain, neither if the roof is sloped to one point, from which water keeps flowing down to the foundations. The experienced homeowners solve this issue by standing a barrel to the edge of the roof to catch the water; they use it later for flowers and plants in the garden. 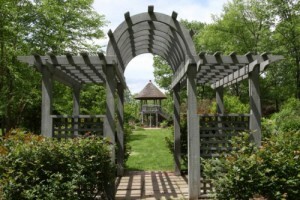 Most garden buildings are made of wood (timber) with roofs of sheet metal or other roof covering. The walls made of boards must be conserved very well. This can be done by e.g. high quality paint or by old motor oil. The soaked timber survives weather fluctuations and you can be sure, that either mice or insects (including woodworms) do not like it. If the surroundings of the building are formed by a clay surface, it is far better to coat the lower parts of the building with several layers of paint. The next important part of a garden construction is the floor. It should be made of concrete and the lower part of the structure should be recessed. This will reduce possibility of being washed away during a flood. Whenever you discover that part of the floor is broken, just knock the floor around it out with hammer and fill the hole with new concrete. Cracks in concrete can be sealed with silicone. If you do not do so, frost and moisture would tear the whole floor in winter. 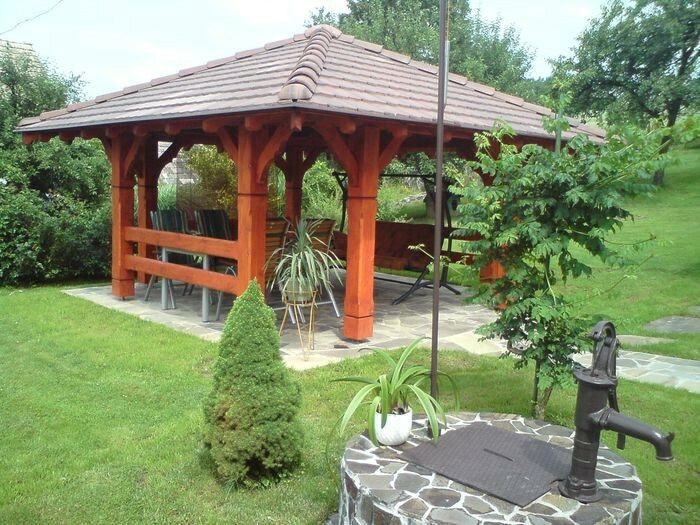 Outdoor constructions, such as garden arbours or pergolas, need only regular painting. Do not save on a quality paint or varnish, as you can prevent bark beetles and other pests from destroying it. Greenhouses (made either of glass or plastic foil) should be painted once a year. Broken windows or torn foil should be replaced to avoid unnecessary loss of light. Once in a while, it is advisable to replace the wooden panelling, which is perishable easily due to moisture. Fungi and mould get from it down into the soil and they consume the quality nutrients meant for vegetables or flowers. If the soil is tired and exhausted, good fertilizing is necessary, and if it does not work, the whole soil must be replaced. On this occasion, it is recommended to do the overall repair or reconstruction of the greenhouse. Although plastic can resist weather, it may not always look nice. Wood and metal acquire a patina during the time, so they need careful treatment. 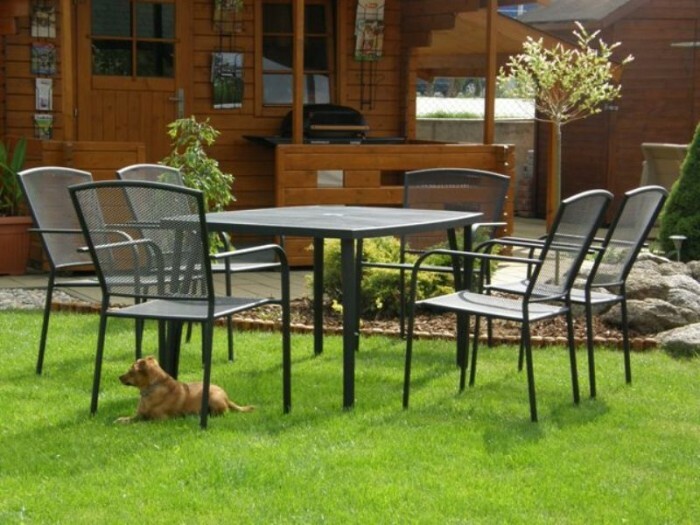 What kind of garden furniture should you choose then? Many people keep their weekend cottages or they do the gardening. However in order the garden was a nice place to relax and meet friends, it is necessary to pay attention to the garden furniture. After all, every garden needs some outdoor furniture, so that you could sit under a blossoming apple tree and read a book or even better, under a tree on which sweet smelling apples ripen. 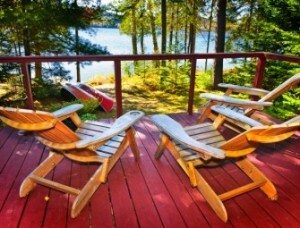 However, there are differences among garden furniture. When getting your garden furniture, you always have to consider, how often you are going to rest in your garden. You have to ask yourself, how often visitors come to you or whether a member of your family is not overweight. It sounds ridiculous, but many cases of injuries have been registered after bursting of plastic chairs. Believe it or not, fracture of coccyx, or even a leg of a plastic chair stuck in your body is nothing pleasant. This does not mean that plastic garden furniture does not have a use. It is very popular, but not in families where people are rather big. The advantage of plastic furniture is definitely their purchase price. Another plus is that there are several colours and manufacturers on the market, so the range is nearly endless. In case of damage of a piece, you can replace it with the same type easily, quickly and affordably. When your plastic garden furniture gets wet, you just wipe it with cloth. On a plastic table, scratches are not as visible as on wood. 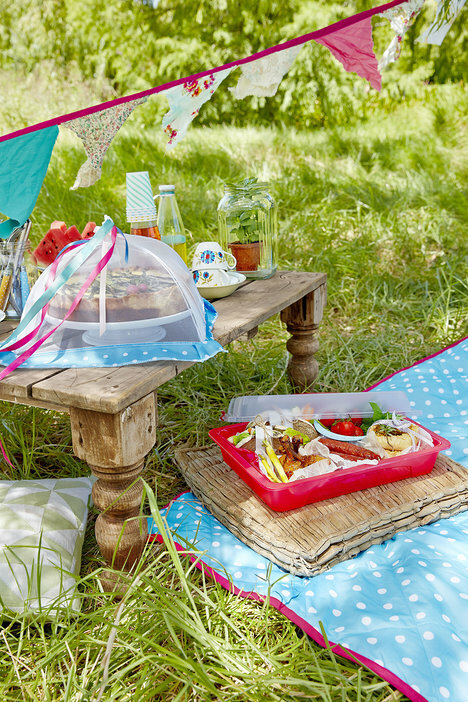 Additionally, plastic tables usually have a hole in the middle to insert a parasol. Seniors appreciate the weight of a set of plastic furniture, which is half compared to wood furniture. 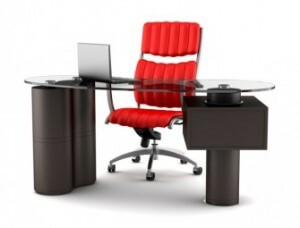 The disadvantages of plastic furniture include a low pressure resistance. Or have you ever tried to swing on a plastic chair? Another disadvantage is that plastic furniture can often be knocked over by strong wind or taken away by heavy rains. Iron garden furniture is really rare nowadays. It requires regular maintenance and the cost is quite high. It will not be taken away by wind, but rather by burglars. The downside is that it accepts the ambient temperature, and it is nothing pleasant to sit either on a cold chair in cold weather, or on hot iron in summer. Wood furniture is clearly the most suitable for garden use. Its price is somewhere in the middle and depends on the type of the wood. 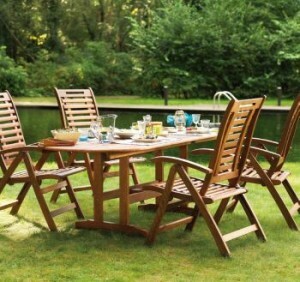 The best quality garden furniture is made of teak wood. It became a leader in world rankings and it won favour of private sector as well as public facilities (hotels, boarding houses), because it can handle extreme load. Although prices of teak furniture are higher than those of other high quality outdoor furniture, the owner will save on their maintenance later; both pests and mould avoid the solid and hard wood. It is almost unreal to break a teak chair. 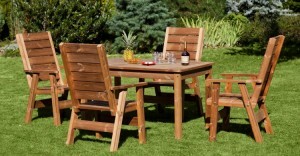 The teak furniture is resistant to bright sun, rain and snow and its maintenance is easy. How do you choose new furniture for your interior? You should not look on the design and colour or decor only, which are eye-catching, however it is necessary to consider other parameters, so that the furniture could serve you well. 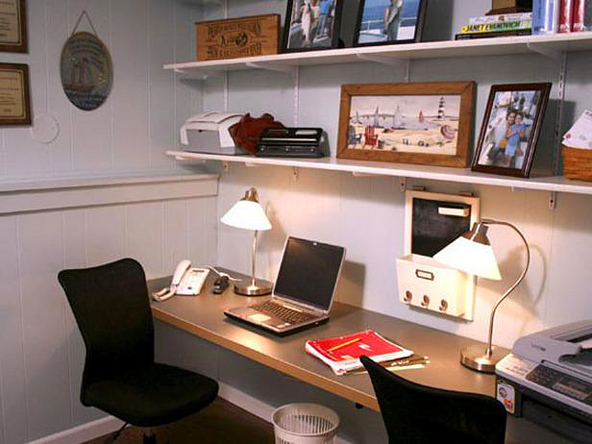 Interior furniture can be made of many materials, although wood-based boards prevail. But that is not all you need to know before you buy a beautiful new chest of drawers, a wardrobe or maybe a desk. You can see different thicknesses of the base. A thicker base, optimally 18 mm, is stronger and better because the furniture will be more stable, strong and it will last longer. The thickness of the doors or fronts of drawers is important, because you handle with them frequently. The stronger ones are preferable also from the decorative point of view, if you wish decorative milling on the doors or on their edges. There are several ways to put individual parts together. The connecting screws are better than wood screws because if you needed to disassemble and re-assemble the furniture, you can do it without destroying it. Anyway, both types of connections are visible. So if you wish an “invisible” connection, e.g. on the faces, there is another solution: the wooden pegs. Examine the furniture very carefully: are there all the angles perpendicular and all the joints straight? Any gaps or inequalities can become an issue later. If you find this shortage on your furniture after you brought it home, do not hesitate and claim it, if you have a warranty for the product. Ask the salesperson, if the glass is tempered or toughened, as it is considered virtually unbreakable for normal household use. And it does not matter whether a bookcase has the doors with partial glass panels or if the doors are fully glazed. The hardened glass in larger formats is stronger, it does neither bend, nor vibrate. Finishes – Can They Be Repaired? The common types of finishes are films or varnishes. The varnishes can stand minor scratches or abrasions the best. Acrylic finishes are often used and any abrasions can be polished – although there are several repair methods available. Any damage to the film is irreversible. The paper edges are gone, nowadays the ABS edges made of special thermoplastic are used. When gluing them, both the technological progress and the type of glue are important. The PUR glue is preferred, as you do not needs it in such an amount, the edge sits tightly against the front surface and the joint is almost invisible. Moreover, it is waterproof and heat-resistant. Other adhesives must be used in large quantities and the joints are more evident. Let us have a look on the furniture fittings. You can probably guess that the plastic ones do not last long, while the metal ones do. In this case, you can follow a simple guide: the length of the warranty. If it is a lifetime warranty, there is probably no problem. A special machine drills holes into individual parts first. Then glue is injected into the holes and wooden pegs are inserted. On their protruding ends a counterpart is placed, which is a part with drilled holes. The furniture with lacquer finish, especially in high gloss, is trendy nowadays. The quality of the lacquered surface is affected by these factors: a smooth base material (if it is sanded badly, the surface is uneven), respecting the drying time of each layer (when applied hastily, bubbles are formed in the finish) and the cleanliness in the workplace, to avoid covering dirt and dust with the laquer. Can Your Guests Smell, You Keep A Dog Or A Cat At Home? It is not pleasant if a visit comes to your home and they can smell right at the entrance, you keep a dog or a cat at home. 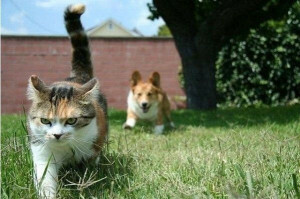 What can you do with the smells which pets sometimes spread around them? 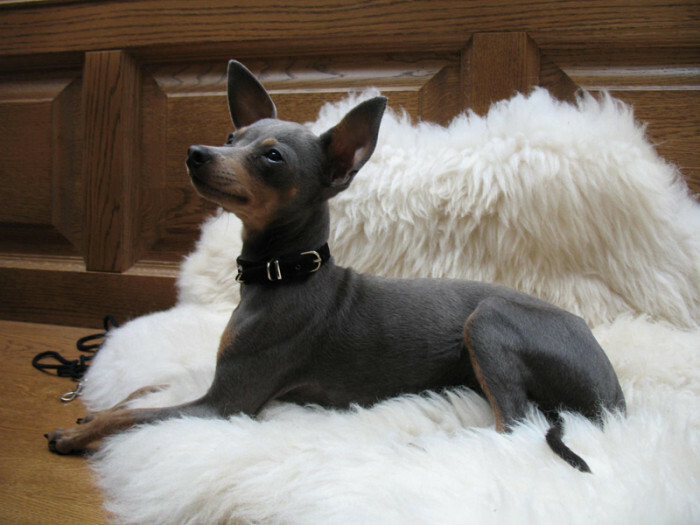 However intensive your cleaning is, your pets can well upset your idea of a scented home. In this case, how can you get rid of unwanted odours from your house or your apartment reliably? We have found out, what is available on the market. In order your pets did not leave “scent” in your home, do not neglect regular cleaning, which is based on replacing of bedding for hamsters and rabbits, or litter from the cat toilet; these are the main sources of unpleasant odours. An occasional accident in the form of a puddle should be removed as the fast as possible. Of course, you can utilize all natural means, e.g. water with vinegar, baking soda or a regular soda water, which can remove both the stain and the odour. You can use a commercial product, too; it is up to you whether it is a chlorine or non-chlorine one. “You do not need to be afraid of hypochlorite products as they have been successfully used for decades already. With proper handling and following the instructions, they are great helpers in the home. Their definite advantage is the fact that they destroy 99.9% of all bacteria and viruses and remove dirt and unwanted odours. So they eliminate exactly the issues, that you are worried about in animal breeding,” an expert says. If you choose a hypochlorite product, dilute it according to the instructions, apply it, let it work and then rinse it off. The surfaces which come in contact with food must be rinsed with drinking water after 30 minutes, and then let air dry for the same time. After this time, the sodium hypochlorite is fully decomposed, and you can safely free your pet back to its dwelling. Even if you do your best, there are situations when you do not have the time for a thorough cleaning and you need to get rid of the odour quickly. If you smell an unpleasant odour in your home, spray the home textiles (curtains, upholstery, carpets) with an odour absorber. However choose one, which neutralizes and swallows odours, not just covers them with a scent. Do you need to clean your bean bag and do not know how to do it? That is why we have posted this article, in which you can find the necessary information. 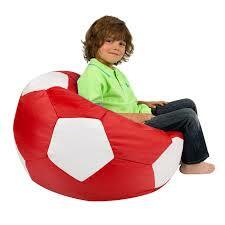 Among other characteristics, bean bags are excellent in terms of easy maintenance. You need to know that the appropriate type of maintenance varies depending on the material from which the surface is made. This material enables a very easy maintenance. For normal cleaning, a sponge or a cloth moistened with warm water is sufficient. However, if your kid or your pet grew fond of the bean bag, you may need to use soap or other gentle cleanser for dirt removal. You can exceptionally use bleach on heavy stains, however with the risk of slight discoloration on the spot of application. Nylon is a material characterized by its resilience and a high durability. 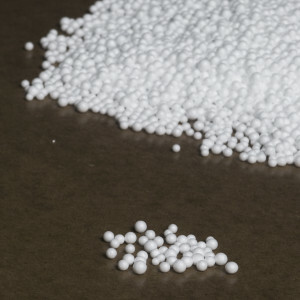 Since bean bags made of nylon are typically placed outside (on balconies, terraces or gardens), it is necessary to remove deeper stains and dirt from them. In this case, using a brush with soft bristles or an old toothbrush (for smaller spots) and a gentle cleanser is recommended. Preferably, rub the spots in a circular motion. In comparison with the previous materials, cleaning of cotton surface is slightly more difficult. The only exception is the model “Pufika Large”, from which the coating can be removed and washed in a machine. In other cases, use a gentle detergent, and depending on the intensity of the spots, either a cloth or an old toothbrush with soft bristles. Remove the dirt by circular motions. Luxfers Are Back, And They Look Great! Luxfers are almost a perfect building element that offers nearly endless range of applications: they can be used for partitions and half-partitions, vistas, ceilings and stairs. They bring light into dark spaces and brighten up dull interiors. Today´s Luxfers are considerably different from the first ones, which have been produced since about 1897. The glass blocks changed from the original ones with only one glass wall, to hollow core blocks created by welding two halves together with an air pocket inside. Due to it, Luxfers gained additional benefits and their scope of use expanded. Even thought the clear blocks are not perfectly clear, they allow some visual contact. If you want to prevent stares into the room, you can use “satin” blocks, even though they transmit less light. You can achieve interesting effects by combining matte and glossy blocks, different sizes or colours of blocks. The options are enhanced by special corner and ending parts that allow you to build Luxfer walls up to 90° angle or to end a partition with a block that has one, two or even three sides in the open. Luxfer wall can basically replace any non-bearing partition wall or window. As to production technology, Luxfers are divided into two groups: blocks dyed through the material and blocks dyed in cavity only. The first ones, Luxfers dyed through the material, are suitable both for indoors and outdoors use. The Luxfers dyed in cavity are drilled in one corner during manufacturing and then dye is injected inside. They are less resistant to UV light and frost that is why they are used in interiors only. Besides the standard and most widely used format 19 x 19 x 8 cm, there are also the “half” format (19 x 9.4 x 8) and larger formats available. You can get blocks which are 10 cm thick, as well. They are glass blocks, usually consisting of two sides connected by heat forming, so they create an airtight capsule/cavity. The base is melt glass cast into a mould. The outer surfaces are generally smooth, and if the blocks have matte or decorated look, the texture is hidden on the inner sides. Luxfers are a great way to separate a space which feels airy then, as they allow penetration of natural light into dark corners. 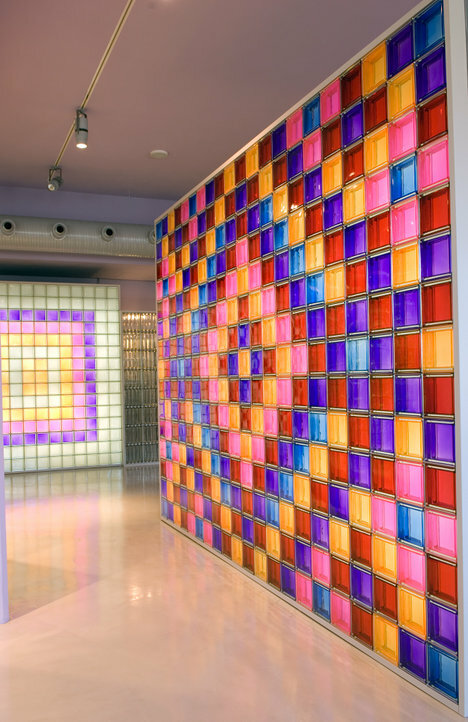 The glass blocks are popular in bathrooms and shower cubicles where they are used for partitions, dividers or half-dividers, as well as for illuminating of corridors, halls, and staircases. Unlike the unsightly Luxfer windows of the past, today´s Luxfers bear the hallmark of luxury and they are elegant interior complements. The horizontal application of Luxfers is an original idea used, e.g. on walkways, ceilings, landings or arched vaults. 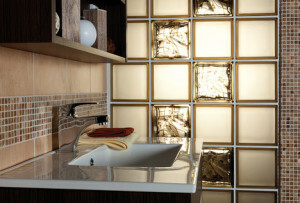 For this use, special glass blocks are produced. It is always a good idea to consult professionals from a specialized company about the choice, because standard types are not suitable sometimes. Food Containers Are Never Enough! Whether it is fresh or cooked, food needs to be stored properly. 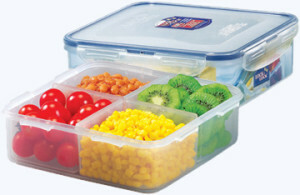 Good quality containers will help you to increase its shelf life significantly. You can prevent an unnecessary wastage by proper storing of foods. Thanks to various sophisticated ventilation systems and seals, this kind of container retains optimal atmosphere for a specific ingredient. Choose the containers according to your needs and you will be satisfied. It is not new that removing of air extends the shelf life of foodstuffs significantly. 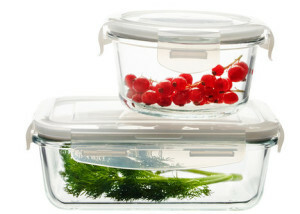 You can appreciate vacuum containers not only at home but also when you are travelling. If you prepare an airtight snack with ham and cheese in the morning, it will be still edible and tasty in the evening. In vacuum, foods do not get dry, odours are not transferred between them and they do not lose their colour, nor taste. The vacuum also avoids the loss of nutrients and vitamins, and especially it prevents fungal infestation and propagation of other microorganisms in the food. This kind of protection of food is worthy not only in the summer months. Certain foods, such as herbs, do well when they get fresh air. 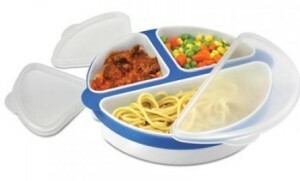 That is why some food containers have valves in their lids. 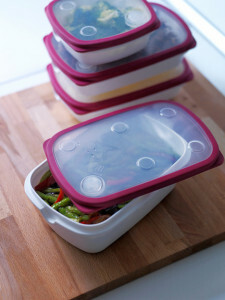 However, similar openings are fitted on containers you use for microwaving food. You always need to check the use, because some plastics do not stand high, or vice versa low temperatures. 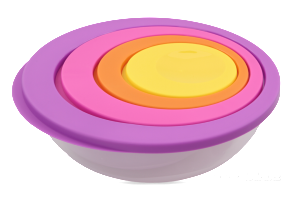 A variety of colour options of lids and containers does not serve only the aesthetics of the product, but it also helps to distinguish them quickly. If you decide e.g. that a box with a white lid is used for dairy products, with red lid for meats and with green lid for herbs and vegetables, you will always be sure to reach for the right one. The transparent containers serve for quick orientation, too. Visual inspection is the easiest and fastest method. That is why even some tin boxes have a “window”, which allows you to check the content, as well as the quantity remaining inside quickly. The indisputable advantage of plastics is their lightweight, however glass has different advantages. For example, a glass bowl (made of heat-resistant borosilicate glass) can be put in the oven for baking. Glass is inert, it does not transmit odours and does not get discoloured and a glass container looks like a new one after thorough washing. Advanced systems of closing with seals enhance the comfort of glass containers further. Glass also impress the fans of traditions and it is especially suitable e.g. 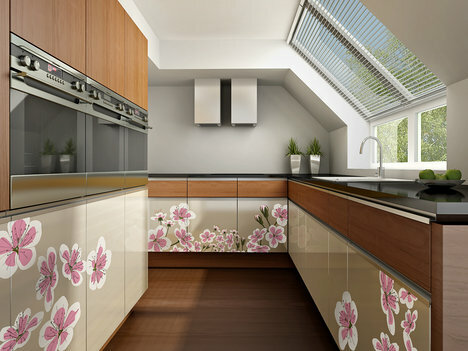 for kitchens in the traditional or vintage designs, where plastic would not look inappropriate. Metal, and particularly stainless steel, is a frequently used material. Large metal containers are great for storing, e.g. bread and pastries. 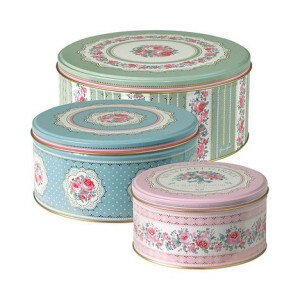 Tin containers can easily be decorated with high quality powder, health and environmentally friendly, paints. You can choose from countless colours and patterns. Everyone will certainly find the best one according to his or her taste. 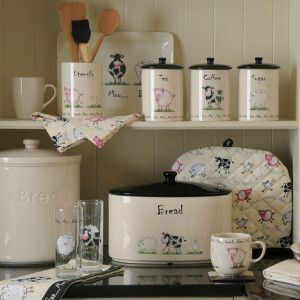 Additionally, beautiful boxes and jars for food may brighten the kitchen up in an interesting way. Nearly 60 percent of Czech households discard unused food at least once a month, and 20 per cent of them do this every week. However, according to the surveys, there is a new positive trend meaning that 83 percent of Czechs currently pay attention to the proper storage of food in their refrigerators. When you think about the romantic style, you certainly imagine lots of flowers, ruffles and lace. 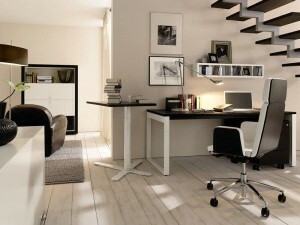 However, romantic mood can be created easily even in an otherwise modern apartment. Forget the rich ornamentation and piles of elaborately decorated cushions and dolls. In fact, the romantic style has its specified locations and it decidedly belongs in a certain environment. But many of us live in modern buildings, where an exaggerated romanticism would feel inappropriate. How can you satisfy your desires in this case? 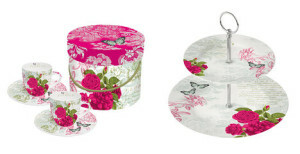 We have chosen several examples, how to induce the romantic mood relatively easily and quickly in your home. The colours and motifs are basic. They include mainly fine halftones and soft pastel colours. These are associated with decoration and decorativeness drawing from the original motifs. Keep in mind, that the cosiness and romantic mood are created mainly by the textiles and the illumination. Put stylish coats on decorative pillows and cushions on your sofa, and then do the same with your beds. Of course, use dim lighting and candles – you will never go wrong with them. And while you are in the right mood, drink a cup of tea from a stylish porcelain cup. Would you like to reconstruct your bathroom, but you are discouraged by the arduousness, building interventions, mess and length of implementation needed? We have a solution for you: you can do the reconstruction by using the ultra-thin Slim Large-Format Tiles. These can be glued directly to the original material. Thanks to a special technology, Slim Large-Format Tiles are only 3.5 mm thick and their weight is about 1/3 of weight of standard tiles. They are reinforced with glass fibre mesh, which provides them with high mechanical strength and durability. What is why you do not worry using even the largest ones. This type of tiles are available in sizes up to 3×1 m. You can accomplish the reconstruction of your bathrooms really quickly, cleanly and without the need for building intervention and the following disposal of debris. 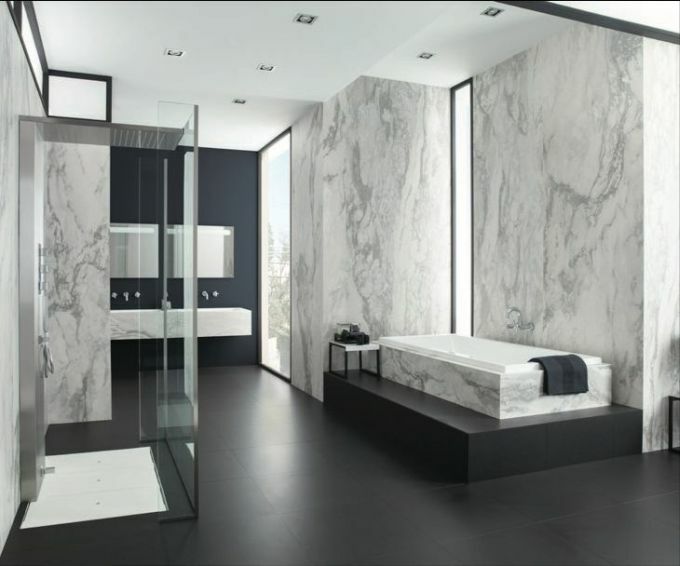 There is a wide range of designs to choose from: glossy marble tiles, modern matte imitations of wood or monochromatic tiles in warm muted colours. There are more than 70 unique designs available, including originals such as the polished ONIX. Tiles are calibrated, so they can be glued with minimal joints and they look like a single surface, in effect. The big advantage of these tiles is the possibility of using them in the exterior, as well, e.g. for insulation of facades.